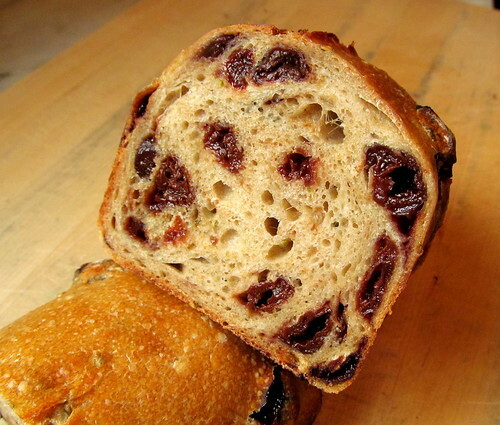 Marcus (wassisname) mentioned in a recent post that his favorite "aromatherapy bread" of late was a 20% rye with raisins and dried coriander. I was intrigued by the flavor combination. 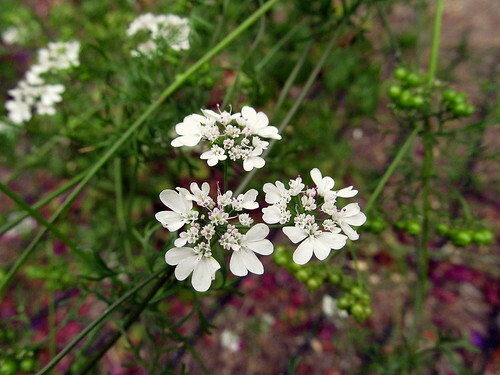 I love cilantro (aka coriander) and grow it in my garden. It's one of the few things that seems to grow well. I tend to let it bolt and go to seed, but I think the tiny white flowers are pretty so I don't fret over it. I like adding the flowers to my salads. 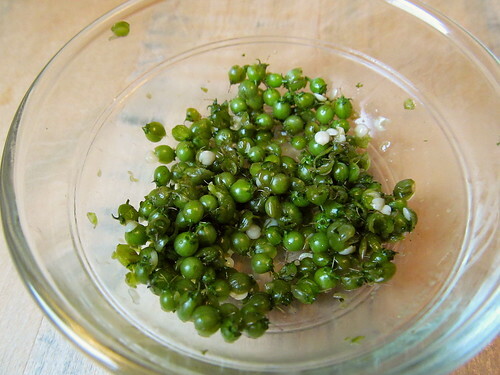 With an abundance of fresh green coriander seed pods, I decided to harvest some to put in my bread. 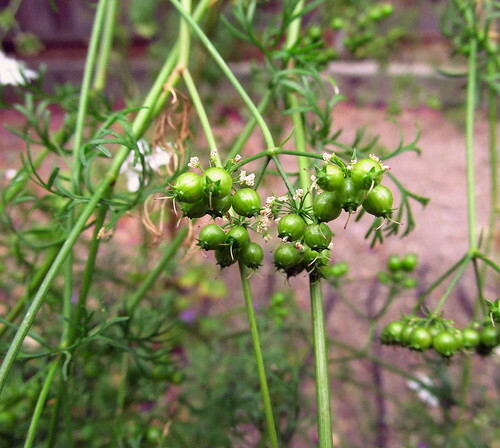 The green seed pods taste like cilantro leaves, but way more herbacious and verdant. But they also have a spicy, citrusy edge. I opted for dried tart cherries to complement the citrusy notes of the green pods, but raisins would be perfect as well. 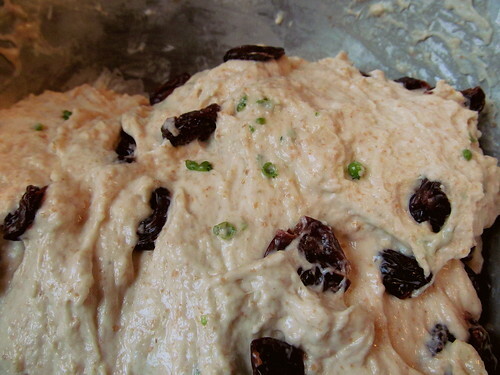 I also added a bit of ground dried coriander seeds to my dough to add a hint of earthiness. Marcus suggested using about 1-1.5% dried coriander, but I wasn't sure how much fresh green coriander to use. I settled on 2% fresh and 0.5% dried. On day 1 the green coriander was quite overpowering (even for a coriander lover like myself). I feared that adding 2% seeds was too much, but the green coriander had mellowed considerably by day 2 and was quite nice. The dried cherries were very moist and burst with every bite. Combined all ingredients in a bowl and mixed by hand. Dough fermented at room temp (72F) for 3 hours with a stretch and fold at 30, 60, 90, & 120 minutes. Then bulk retarded at 40F for 12 hours. Preshaped the cold dough and bench rested for 1 hour. Shaped 1 kg dough and placed it into a 9x4x4-inch loaf pan. Proofed at room temp for 90 minutes. Baked at 450F for 45 minutes. What a great loaf of bread. I see I am not the only one that was tempted by Marcus in his recent post. BC uses volume measurements so when it came time to add coriander I went with 1% though, in the wet dough, it seems very mild. I was tempted to add more but held back until I get feed back from my bread 'testers'. Didn't want to overdo it. Notice that your loaf has a very shiny crust. Did you bake it in a DO? If I baked a loaf similar to yours at 450° for 45 minutes I would get a dark and much thicker crust….. Thanks for sharing your loaf. Gives me more ideas to play around with in the future….. Yes, I was tempted by Marcus as well. :) I didn't use anything to make my loaf shiny. I baked the loaf in a pullman loaf pan. I covered the pan with the pullman lid for the first 20 minutes, removed the lid, and baked for another 20. Then I removed the loaf from the pan and baked for another 5 minutes. I can't wait to see how your BC loaf turns out. I think lemon zest is a perfect addition. Sorry, no photos. The loaves went to friends. Lidded pullman makes sense and easier to manage than a hot DO. Makes for a really nice looking crust. I will have to try that sometime soon too. I'm sure your friends will enjoy the loaves. Nice variation! The flavor in those fresh, green seeds must be intense. I’ve never thought to use them at that stage – good to know, as cilantro bolts mighty quickly around here. Great looking bread, Mary! Thank you for mentioning this flavor combination in your post. The green coriander seeds were powerfully intense. Much more than I thought they would be. But perhaps the intensity of flavor varies from plant to plant. I found a cold soba coriander salad recipe that uses green coriander seeds in the dressing. I plan to try it out this weekend. Thanks for the inspiration, Marcus! 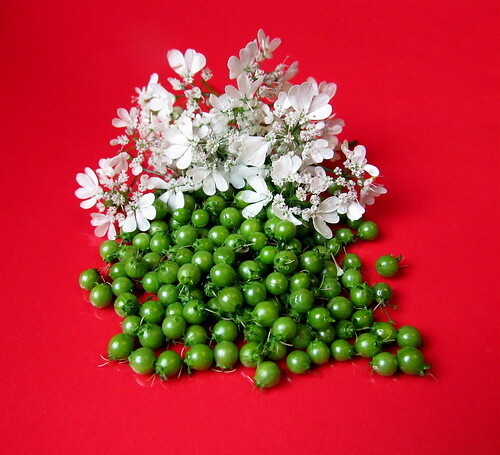 What a nice surprise are the fresh green coriander berries! Beautiful, creative and tasty! 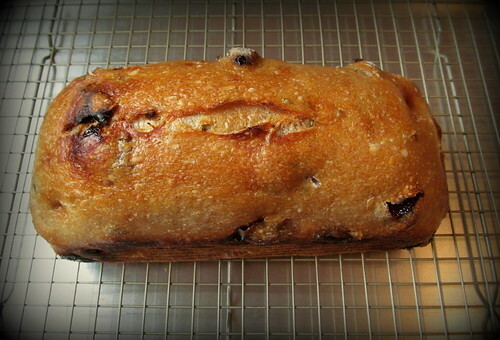 Rye, walnuts and dates sound great. The sweet dates must be so nice with the spicy flavor of rye. Looks like a beauty Mary. 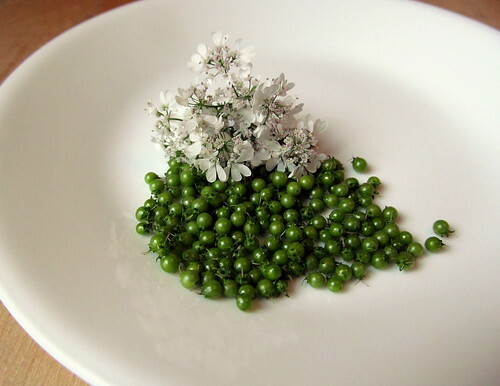 I've never seen fresh coriander before, so thanks for sharing your beautiful photos. My city garden could never match the beauty of your garden and those lovely flowers you grow. :) Thanks Ian! Thank you for posting these pictures and wonderful recipe. The Cilantro in our garden is absolutely thriving, other then drying it for winter use, I may just start putting it in bread :-) Thank you! It never really occurred to me that I could eat them green, but I realized that since I eat the leaves, stems and flowers, why not the green pods too. Nice combination! bread looks super delicious. Well done on your choice. It was a very good combination, but I happen to love cherries and cilantro so I am a little biased. :) Thanks Kahlid! I'm jealous of your tart cherries. :) The growing season for tart cherry varieties in California is so short. I think I only saw them for a week at the farmers' market this year. So I have to make do with dried ones.